Pelikan’s eye-catching new Souverän 600 Vibrant Orange series reflects the beautiful color transitions of autumn leaves. The unique resin material undergoes multiple production steps to capture the range of bright foliage colors. 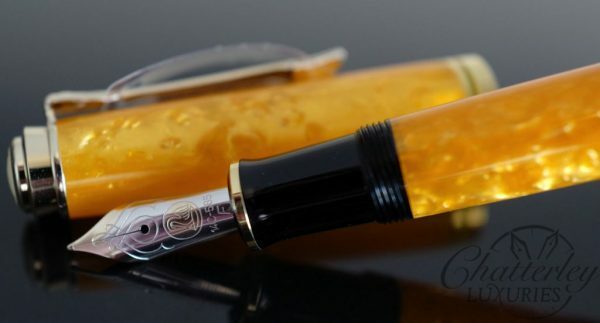 Interesting nuances from slightlytransparent to intense orange make the writing instruments seem to smolder and glow. Gold-plated rings, clip and trim further enhance the warm shades. 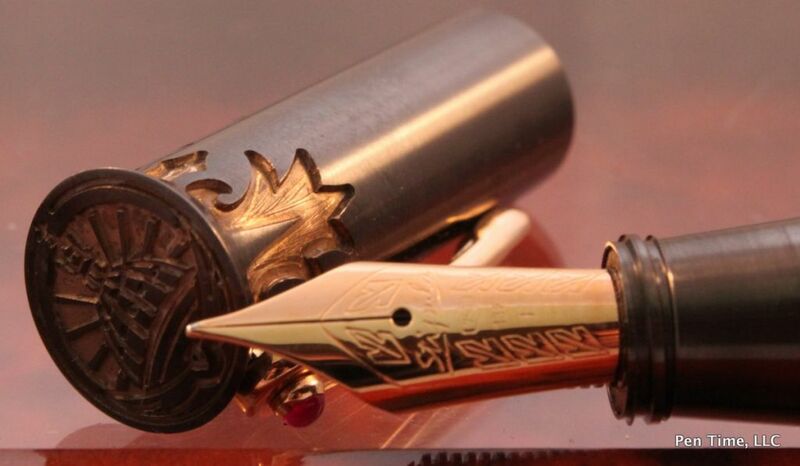 The 600 fountain pen features Pelikan’s patented piston-filling system and a gorgeous 14K gold and rhodium nib. The matching ball pen activates with an easy twist. Presented in a handsome gift box, the Pelikan 600 Vibrant Orange Special Edition is available for a limited time only.